Garage doors need springs in order to move. If the springs are broken, the power of all other parts combined won't be enough for the lifting of the door. Garage door springs are designed for this exact purpose and work along the cables so the door will open and close properly. Thanks to their power the overhead door will also remain open. The extension springs for garage doors, which are placed at the two sides of the door, counterbalance the door before lifting it. They stretch out and reach their maximum point of tension when the door is closed and this tension is gradually released as the door is opening. When the door is fully open, the tension of the springs is at its minimum point and that's why their danger is minimized. Torsion springs, which are found above the door, are laced on a shaft and as they turn on one side but not on the other, they develop torque. With such force the door opens. Unfortunately, if the springs are not handled the right way, this force can harm an individual. That's why Garage Door Repair Mendota Heights suggests to its clients to avoid approaching these components closely or handling them. We are always here for you and our friendly customer care will attend to all your concerns and issues. When springs are ready to break, we promise to measure and replace them soon. They only last for a certain number of cycles and this is usually around ten thousand cycles. Our proficient team replaces broken garage door springs but we prefer to replace them before they break so you won't run the risk of an accident. 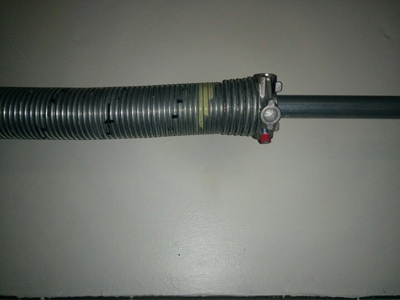 At our esteemed company, emergency extension springs repair is implemented quickly to take care of all torsion spring issues at once. The diligent crew is highly knowledgeable of all their particularities and special characteristics of all brands. Our response is swift but you can also be certain that our expertise in garage door springs guarantees perfection in spring adjustment, repair, maintenance, installation, and replacement. What are your overhead door springs needs today? Give us a call!